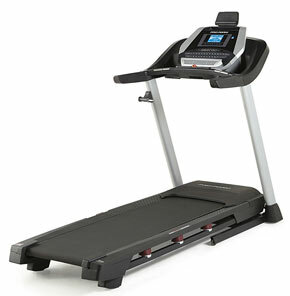 The ProForm 705 CST Treadmill (PFTL80916) is a good mid-range level treadmill. The quiet and smooth ProForm 705 CST treadmill features a 2.75 HP motor ( Mach Z Commercial Motor), which can reach speeds up to 12 miles per hour (in increments of 0.5 mph). 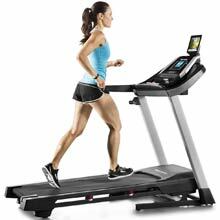 The treadmill can incline between 0 (flat) to a 12 percent grade (powered). You can easily store the ProForm 705 CST as it folds up. The exclusive EasyLift™ Assist with a hydraulic lift system will assist you when raising and lowering the deck. Running deck area is 20″ x 60″ for running, jogging or walking. 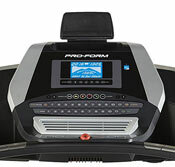 The ProForm 705 CST home treadmill has 22 workout programs. iFit Compatible Treadmill – The optional iFit module links you to Google maps routes, automatic tracking, and hundreds of additional workout programs. Links with your tablet or ipad. QuickSpeed® buttons for quick adjustments. Display shows your workout information such as incline level, heart rate, power in watts, speed of walking belt, elapsed time, your pace, calories burned, and distance completed. ProShox™ Cushioning with 4 shock absorbers for less stress on your knees, hips, ankles, and feet. Proform 705 CST Home Treadmill Features: Other features include ProShox™ Deck Cushioning (provides shock absorption and support). Grip Pulse EKG™ Heart Rate Monitor. CoolAire™ Workout Fan (keeps you cool during your workout). Tablet Holder (tablet not included). The console allows you to monitor your time and goals. Features stereo speakers which you can plug in your iPod® or MP3 Player. Water Bottle Holder, Integrated Tablet/iPad Holder. Smart-Review Commentary: The ProForm 705 CST is a good mid range level treadmill with many of the latest features and an excellent warranty. It is suitable for walking, light running, and jogging. Since it folds up, it is ideal for areas where you can’t leave the treadmill open at all times. Folding is easy, thanks to the EasyLift™ Assist hydraulic lift system. The ProForm 705 CST treadmill has a 2.75 HP motor, allowing up to a 325 lb. user, which is good for this price range (for serious runners, we recommend a 3.0 HP motor or larger, such as the i995 model below). The Treadmill is fully loaded with features including 22 workout Apps, Power incline, iFit option, Cooling Fan, Built-in Speakers, ProShox™ Cushioning, and a multi-feature console. A tablet/ipad holder allows you to entertain yourself while working out, and can hook into the ifit program with the ifit app. The longer 60-inch running deck makes this treadmill more suitable for taller users. 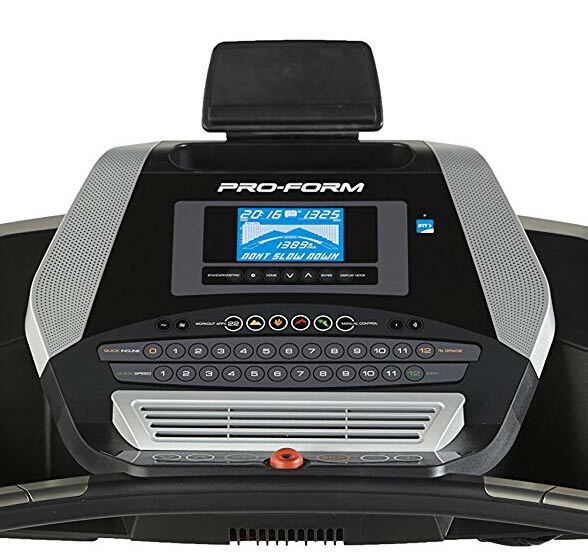 The feature loaded ProForm 705 CST (PFTL79515) is a Smart-Review Top Pick and a great value for the money for mid-range level treadmills.